January is the time of year when people seek fresh starts. So why not give yourself the freshest of starts first thing in the morning? The way you wake up sets the tone for the remainder of the day, so it’s important to reflect on your routine and mindset first thing. Do you reach for your phone or take a few deep, restorative breaths? Do you seek out caffeine or take time to hydrate? 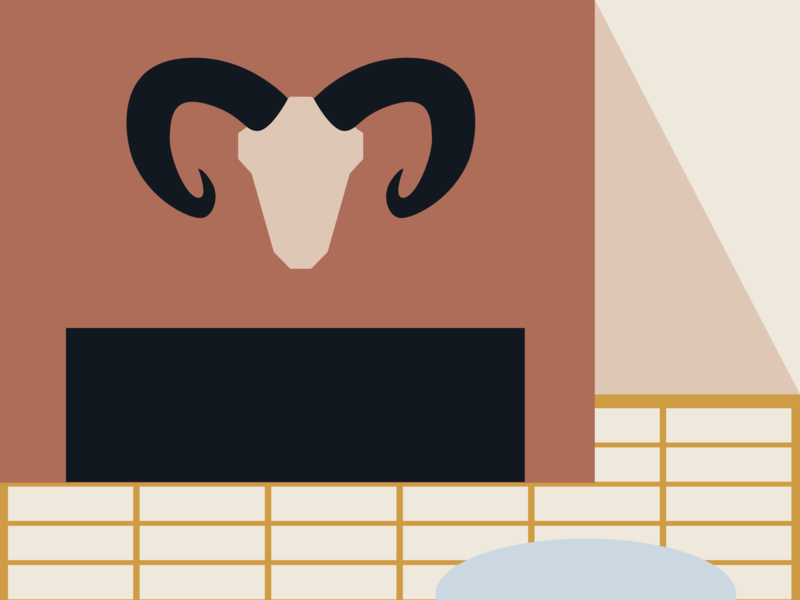 We’ve got the astrological guidance you need to optimize your morning rituals from sleepy eyes to strutting out the door. Drink a glass of water. It signals to your body that it’s time to get moving. Not to mention hydration. Go to the window. At a basic level, sunlight tells your body to stop producing melatonin and wake up. Natural light works best (as opposed to the light from your phone). Wake up 30–60 minutes earlier. This is your time. Take back your mornings by making time for number one: You. Now that you’ve got the basics down, here’s how your sign can own your morning. Draw up a game plan. You are a go-getter. Taking initiative and moving with confidence comes easily to you. However, follow-through is something that you’ve had to practice. With the right amount of focus, you can accomplish a hell of a lot. So draw up a game plan for each day (and stick to it) to help you prioritize your objectives. You are most productive in the morning, so plan to spearhead the most difficult tasks first. As you make your list, think to yourself, How can I best serve you today? Maybe it’s self-care. Maybe it’s meeting a deadline. Maybe grocery shopping is the hardest thing for you (waiting in lines = the worst), so show up first thing at 7 a.m. when the stores are least crowded. Whatever your intention is for the day, it’s here to help you stay on task and streamline all that energy somewhere worthwhile—even if that somewhere is a fully stocked fridge. Get in the shower. Out of anyone, you are probably the most challenged when it comes to getting out of bed. Your love of comfort has led you to invest in the world’s most comfortable bedding, so you’ll need some extra convincing to lure those feet to the floor. A divinely fuzzy rug will do. But don’t stand there wiggling your toes for too long. Get in the shower. No, you aren’t awake yet, but you will be after a few minutes under the faucet. For bonus points, end the shower with a cold rinse. We know this sounds crazy, but you need all the help you can get in the morning. A cold rinse brings blood to your organs, it’s detoxing, and it’s said to keep you young. And it’s sure to wake you up. By the time you are dressed and ready to go, you will actually have time to sit down and enjoy your coffee—a vital ritual for someone like you who appreciates life’s simple pleasures. Get your thoughts on paper. With one of the busier minds of the zodiac, you’re never short of thoughts. But not all of those thoughts are useful. Start your day with a mental dump. Freewrite and scribble. Anything that comes to mind. Jot down your dreams from the night before, those ideas that were keeping you from falling asleep, your goals, aspirations, grudges, hopes, and worries—all in one run-on sentence. You’ll feel such a relief to get those ideas out of your head and onto paper. Being present with your own thoughts is a wonderful practice for you, and this is one way to sort them out with ease. Once you’ve done so, you’ll be mentally clear and better able to digest new info. For your morning commute, choose your material with intent. Listen to your favorite podcast, an inspirational TedTalk, or sure, go ahead, and get your fix on current events. Leave on time. As a homebody, you’re never in a hurry to leave the house. You’ll find plenty of “one-more-things” you can do in those final 10 minutes before you absolutely have to be out the door. And then something inevitably delays you further—spilling your to-go cup, misplaced keys, traffic—and now you’re officially late and stressing about it for the entire commute. Aim to be early and you’ll end up right on time. All those tiny tasks can wait. Peace of mind is more likely to arrive when you’re allowed the space to go with the flow. There’s nothing you love more than feeling like you have all the time in the world, so give that gift to yourself each morning when you lock the door behind you. Traffic? No problem. You’ll be dancing in your car admiring the scenery. Valuable connections. For you, Leo, it’s important to find meaning in the things that you do. So before you start your day, aim to make two meaningful connections. The first is with yourself. Roll out your yoga mat, go for a jog, or sing into your hairbrush after you get out of the shower. Do something that honors your well-being (and dynamism). Once you’re good to go, reach out to someone you love. Maybe you call your parents to wish them a beautiful day or send that meme to your best friend to make them laugh. No matter how you feel at the onset of your day, connecting with others always takes your cheer to the next level—and no doubt the person on the other end feels elevated too. Your loved ones bring so much meaning to your life, so get a head start on those feel-good vibes at the beginning of the day and guarantee the usual grunt work won’t seem so bad after all. Center yourself. As a practical earth sign, efficiency is something that matters to you. Mindfulness will help you streamline your day, so wake up with a mini meditation. Open the blinds and then sit up in bed (or on a floor pillow) and breath intentionally. It could be for two minutes, it could be for 10 minutes—it’s up to you! Breath brings oxygen into the body and flushes out the CO2 (which keeps you stiff and tired). By the time your feet are ready to get moving, you’ll be clearer. You might focus on gratitude or you might like to consult a book on your bedside table for a daily intention. Starting your day centered will help you take on the day with greater confidence and help you zero in on the day’s tasks so you can get out of work early and snag your choice barstool at happy hour. Hold off on the scroll. As an air sign, waking the brain up is your first instinct in the morning. It’s so easy to shut off the alarm and immediately switch over to scrolling yourself awake with social media. However, this may not be the healthiest choice first thing in the morning (on multiple levels). Relating to others comes so naturally to you, and with that comes a tendency (in varying degrees) to compare oneself to others. This a possibility you definitely want to avoid in the first hour of waking up. Don’t even think about checking those inboxes until you are awake enough to respond back. Save the social media indulgence for those much-needed breaks at work and wake your brain up another way. Put on some tunes and pair your morning coffee with a crossword or sudoku puzzle. Puzzles activate the neurons in the mind (rather than the numbing effect of the scroll), and as you know, few things are more satisfying than a completed crossword puzzle—one way to start your day feeling hella smart. Work out. You are so naturally contained that you might not realize how much you hold in—lending to one of the reasons physical outlets are super important for you. Mars, the warrior, is your ruling planet, so challenges are kind of your thing. Go for something uphill like spinning, hot yoga, CrossFit, boxing, or whatever it is you’re into it. Get the heart rate up and you’ll inevitably wake up. Plus, did we mention, endorphins? Aka, the best kind of high. So start your morning with a few sips of coffee, throw on some workout clothes, and head to the gym. You’ll be feeling great, feeling strong, and feeling accomplished. And the best part? You won’t feel obligated to hit the gym after work when it’s super crowded. Take yourself out to dinner instead. Take the dog for a walk. Don’t have a dog? No worries. Throw some clothes on and take yourself for a morning walk. You are a soul who has a deep longing for adventure and the discovery of buried treasure (hey, anything’s possible). Head to the woods where you’ll feel limitless—or a wide open field to gaze at the expansive morning sky. If you live in a city, take your morning coffee on the roof to cast your sights on horizons far and wide. You’re someone who is recharged by possibilities. To witness the whole world waking up with the sun’s gradual ascension offers you a sense of possibility. Get excited about what the day may bring. Nature is scientifically proven to elevate our spirits, but especially for you. Plus you’ll have a much easier time sticking to a schedule once you’ve had your morning roam. Tidy up. As a practical Earth sign ruled by orderly Saturn, you out of anyone know how to make the most of five minutes. So once you’ve got the coffee brewing, unload the dishwasher. Or wipe down surfaces. Or vacuum. Did we mention that you can’t stand clutter? Cleaning can be a mindless activity, so you might as well squash it while the brain is still turning on. Plus, you’ll get your body moving and that alone is going to wake you up (just don’t forget about your coffee once you’re on a roll). Play your cards right and you might not have any cleaning left to do over the weekend, which is perfect for someone like you who works hard so they can play hard. Returning home to a clean house at the end of a long day will be just as rewarding as leaving it already feeling like a boss. Eat breakfast. Not everyone will agree that breakfast is the most important meal of the day, but you definitely do. Your astrological glyph represents the electric airwaves—buzzwords, social movements, wifi, static electricity… you name it. Essentially, you have a tendency to be high strung. One thing that calms the nerves? A satisfied stomach. So before you start responding to emails, make sure you are in a good place. Take the time to prepare a nutrient-dense breakfast and enjoy it at your leisure. Make breakfast a ritual that you look forward to each morning. Once you’re dressed and ready to go, warm up that skillet. This is your time, so go ahead and flip on your favorite podcast or read the morning news. Give this valuable gift to yourself, Aquarius, and you won’t be the only one having a better day. Wake up gently. If you could stay in bed until 10 a.m. every day, you would. But alas, this thing called a “job” beckons you. The struggle is real, Pisces. You are a sensitive soul who definitely does not appreciate waking up to a blaring foghorn. Instead, program your phone’s alarm to play music. Pick something light and upbeat—something that you aren’t in a hurry to shut off but something that you want to keep listening to. Open the window and lay back down to stretch in bed. The idea is to ease into the real world from your vivid dream world. You get to design the soundtrack of your life. What song does your character desire to wake up to today? You love being in your own world (we never want to take that from you), so start your morning cultivating your own flow and the rest of the day will roll that much more serendipitously. Catherine Urban is an astrologer, writer, and cosmic consultant here to help you make 2019 your best year ever. Follow more astro-musings on IG and Twitter @AstroCatherine or visit her website here.